The minister made the statement in the National Assembly as part of a campaign against the IAAF’s regulations. Political parties from across the spectrum have also thrown their weight behind South Africa’s golden athlete, Caster Semenya. 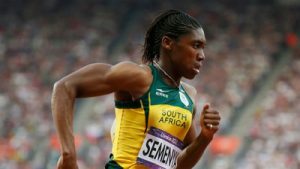 She is challenging the new regulations which require athletes like Semenya, who have naturally higher testosterone levels to undergo treatment to lower their levels in order to compete internationally. The ruling on Caster’s appeal is expected to be delivered on March, 26th.